Ladies and Gentlemen We Are Floating in Space is the third studio album by English space rock band Spiritualized, released on 16 June 1997. The album features guest appearances from the Balanescu Quartet, The London Community Gospel Choir and Dr. John. Only philosophers embark on this perilous expedition to the outermost reaches of language and existence. Some of them fall off, but others cling on desperately and yell at the people nestling deep in the snug softness, stuffing themselves with delicious food and drink. 'Ladies and Gentlemen,' they yell, 'we are floating in space!' But none of the people down there care. The album itself was recorded shortly after the break-up of Spiritualized's Jason Pierce and Kate Radley, the band's keyboard player. Radley had secretly married Richard Ashcroft of The Verve in 1995. Pierce, however, maintains that much of the album, including "Broken Heart" and "Cool Waves", had been written before the breakup. "If you write a song like [Broken Heart], you have to make it feel like what it's like to have a broken heart," he said. "That's what making albums is all about. Otherwise it's just field recordings." Original pressings had a version of the title track that incorporated the lyrics and melody of Elvis Presley's "Can't Help Falling in Love." The Presley estate initially objected to this, and a remixed version appeared on the commercial release, with new lyrics. However, Spiritualized continue to use both sets of lyrics in live performances. By 2009, they were allowed to use the version with the Presley lyrics on the reissued edition of the album, with the proviso that the song be titled "Ladies and Gentlemen We Are Floating in Space (I Can't Help Falling in Love)." Album closer "Cop Shoot Cop..." references lyrics from John Prine's "Sam Stone", incorporating variations on a key line from that song's chorus. In the summer of 1995 Jason Pierce and Sean Cook entered Moles Studio in Bath, to start work on demo recordings with resident engineer Trevor Curwen. Pierce would develop his ideas into complete songs during this period. A few weeks later, recording of the album proper began in earnest, with all of the band members present. Working on 24 track tape synchronised to an Atari sequencer allowed Pierce to build up sequenced tracks from samples of live playing, coupled with some parts gleaned from the demo sessions. The full band line-up, including John Coxon on guitar, performed live over this sequenced backbone. With the basic framework intact, Pierce moved the project to London to work with producer/engineer Darren Allison (My Bloody Valentine) on the recording of vocals, guitars, keyboards, gospel choir and brass section at The Church Studios. The pair worked on further vocal recording at Rooster Studios, before moving on to recording Strings with the Balanescu Quartet at London's legendary Olympic Studios. At this point, Pierce made a trip to the USA to record Dr John's Piano and vocal parts on the track "Cop Shoot Cop". The mixing process involved various studios and personnel. Beginning at House of Blues in Memphis, Pierce returned to work again with Darren Allison at The Strongroom Studios, John Leckie, and Trevor Curwen at Moles Studio. With the mixing phase complete, Pierce concentrated on post-production and editing with Mads Bjerke, and Ray Staff at Whitfield Street Studios took charge of the mastering process. The artwork was designed by Pierce in collaboration with Mark Farrow. A special edition of the album was packaged in a box designed to resemble prescription medicine, complete with "dosage advice" and a foil blister pack containing the CD. A limited edition was also released, featuring each of the 12 songs in its own individually wrapped 3-inch CD, inside a large blister pack and box. Ladies and Gentlemen We Are Floating in Space was released to widespread acclaim from music critics. NME critic Paul Moody hailed the album as a "seismic tour de force" and credited Jason Pierce for taking cues from his vast array of musical influences to create an "entirely new noise out of the wreckage", while Melody Maker praised it as "one mind-blowing perspective-fusing supernova of an album... that redefines notions of bittersweet and love-hate to the point where everyday emotions seem very small indeed." Roy Wilkinson of Select noted the album's more elaborate instrumentation and production styles compared to Spiritualized's previous work and called Ladies and Gentlemen We Are Floating in Space a "remarkable testimony to Pierce's vision". Steve Hochman of the Los Angeles Times named the album as "one of the most ambitious and striking sonic pastiches" of the year and said that it "recycles, refines and expands on the key elements" of Lazer Guided Melodies and Pure Phase. The Austin Chronicle's Taylor Holland wrote that Ladies and Gentlemen We Are Floating in Space "adds sunshine to an otherwise dreary summer season for shoegazers" and establishes Spiritualized as "king among loud-minded 'space rock' bands." Rob Brunner of Entertainment Weekly described it as "beautifully weightless and way out" and felt that while the band's "zero-gravity guitar drone" can get monotonous, the album's wide array of instrumentation "keep[s] the songs from drifting away altogether." Robert Christgau of The Village Voice called the album "refreshingly short on the fatalism pawned off as wisdom by the Verve and depressive if impressive Radiohead", later awarding the album a one-star honorable mention rating, indicating "a worthy effort consumers attuned to its overriding aesthetic or individual vision may well like". Ladies and Gentlemen We Are Floating in Space reached number four on the UK charts, during the height of the Britpop period. The album went on to be named the NME album of the year at the end of 1997, beating other critically acclaimed albums such as Radiohead's OK Computer and The Verve's Urban Hymns. Select and Vox named Ladies and Gentlemen the second best album of the year, while Melody Maker and The Face named it the fifth best. The album ranked at number 13 on Uncut's year-end list, and Q named it as one of the year's 50 best albums. Ladies and Gentlemen We Are Floating in Space also ranked at number 17 on The Village Voice's year-end Pazz & Jop critics' poll. Ladies and Gentlemen We Are Floating in Space has since been acclaimed as one of the best albums of the 1990s on various publications' decade-end lists Pitchfork ranked it at number 55 on their list of the top 100 albums of the 1990s. In 2010, the album was also named one of the 125 Best Albums of the Past 25 Years by Spin. As of March 2010, the album has sold over 111,000 copies in United States. A majority of the songs on the album were recorded live for the band's following release Royal Albert Hall October 10, 1997. Three singles were released from the album: "Electricity" in July 1997, "I Think I'm in Love" in January 1998, and "Come Together" in July 1998. Spiritualized re-recorded the songs "Come Together" and "Broken Heart" (the former with a cleaner radio mix and the latter with an Ennio Morricone-styled string and horn section) at Abbey Road Studios in early 1998; these tracks comprised the band's Abbey Road EP released in August 1998. The title track of the album appeared in the 2001 Cameron Crowe film Vanilla Sky. In October and December 2009, Spiritualized performed Ladies and Gentlemen We Are Floating in Space live in its entirety as part of the All Tomorrow's Parties-curated Don't Look Back concert series. To coincide with the shows, a remastered legacy edition of the album with new artwork was released on 30 November 2009 in three formats: a one-disc release of the original album, a three-disc release featuring the original album and two bonus discs containing demos, instrumental versions, and session mixes of the album's songs, and a special collector's edition release limited to 1,000 copies consisting of twelve 3" mini CDs, each containing one of the original album's songs, and the aforementioned two CDs of bonus content. Reviewing the reissue, Pitchfork critic Grayson Currin wrote that on Ladies and Gentlemen We Are Floating in Space, Pierce "unequivocally reached the height of his recorded powers." Spiritualized later performed the full album again at the All Tomorrow's Parties festival in May 2010, curated by Matt Groening. All tracks written by Jason Pierce, except where noted. 1. "Ladies and Gentlemen We Are Floating in Space"
Dr. John – piano and backing vocals on "Cop Shoot Cop..."
John Coxon – production on "Stay with Me" and "The Individual"
^ Martin, Piers (7 December 2009). "Spiritualized – Ladies And Gentlemen We Are Floating In Space". Uncut. Retrieved 14 June 2015. ^ Ankeny, Jason. "Ladies and Gentlemen... We Are Floating in Space – Spiritualized". AllMusic. Retrieved 8 August 2009. ^ a b Brunner, Rob (27 June 1997). "Ladies and Gentlemen, We're Floating in Space". Entertainment Weekly. Retrieved 8 August 2009. ^ Glaister, Dan (13 June 1997). "Spiritualized: Ladies and Gentlemen We Are Floating in Space (Dedicated Records)". The Guardian. p. 19. ^ a b Hochman, Steve (8 August 1997). "Spiritualized 'Ladies and Gentlemen We Are Floating in Space' (Dedicated/Arista)". Los Angeles Times. Retrieved 25 October 2015. ^ a b Moody, Paul (24 May 1997). "Spiritualized – Ladies And Gentlemen We Are Floating In Space". NME. Archived from the original on 17 August 2000. Retrieved 8 August 2009. ^ a b c Currin, Grayson (2 March 2010). "Spiritualized: Ladies and Gentlemen We Are Floating in Space [Collector's Edition]". Pitchfork. Retrieved 22 September 2015. ^ Chonin, Neva (7 August 1997). "Spiritualized: Ladies and Gentlemen We Are Floating in Space". Rolling Stone (766): 60–62. Archived from the original on 19 September 2001. Retrieved 24 September 2016. ^ Stewart, Allison (2004). "Spiritualized". In Brackett, Nathan; Hoard, Christian. The New Rolling Stone Album Guide (4th ed.). Simon & Schuster. pp. 769–70. ISBN 0-7432-0169-8. ^ a b Wilkinson, Roy (June 1997). "Spiritualized: Ladies and Gentlemen We Are Floating in Space". Select (84): 104. ^ Adams, Sean (16 March 2009). "Spiritualized to play Ladies and Gentlemen... live in London in Oct". Drowned in Sound. Retrieved 1 January 2016. ^ "Spiritualized: Ladies and Gentlemen We Are Floating in Space". Melody Maker: 53. 14 June 1997. ^ Holland, Taylor (28 August 1997). 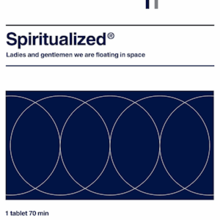 "Spiritualized: Ladies and Gentlemen We Are Floating in Space (Arista Dedicated)". The Austin Chronicle. Retrieved 8 August 2009. ^ Christgau, Robert (24 February 1998). "The Year of No Next Big Thing". The Village Voice. Retrieved 1 January 2016. ^ Christgau, Robert (2000). "Spiritualized: Ladies and Gentlemen We Are Floating in Space". Christgau's Consumer Guide: Albums of the '90s. St. Martin's Press. ISBN 0-312-24560-2. ^ "NME Albums of the Year, 1997". rocklistmusic.co.uk. Retrieved 11 August 2009. ^ "Select Albums of the Year, 1997". rocklistmusic.co.uk. Retrieved 11 August 2009. ^ "Vox Albums of the Year 1997". rocklistmusic.co.uk. Retrieved 11 August 2009. ^ "Melody Maker Albums of the Year, 1997". rocklistmusic.co.uk. Retrieved 11 August 2009. ^ "The Face Albums of the Year, 1997". rocklistmusic.co.uk. Retrieved 11 August 2009. ^ "Uncut Albums of the Year, 1997". rocklistmusic.co.uk. Retrieved 11 August 2009. ^ "Q Albums of the Year, 1997". rocklistmusic.co.uk. Retrieved 11 August 2009. ^ "The Village Voice Albums of the Year, 1997". rocklistmusic.co.uk. Retrieved 11 August 2009. ^ "Pitchfork Staff List Top 100 Albums of the 1990s". pitchfork.com. Retrieved 27 March 2013. ^ "125 Best Albums of the Past 25 Years". spin.com. Retrieved 11 April 2010. ^ Breihan, Tom (17 March 2009). "Spiritualized to Perform, Reissue Ladies and Gentlemen". Pitchfork. Retrieved 1 January 2016. ^ "Spiritualized – Ladies and Gentleman We Are Floating In Space". ATP Recordings. Retrieved 1 January 2016. ^ Bychawski, Adam (26 January 2010). "Spiritualized to play 'Ladies And Gentlemen...' at Matt Groening's ATP Festival". NME. Retrieved 1 January 2016. ^ "Swedishcharts.com – Spiritualized – Ladies And Gentlemen We Are Floating In Space". Hung Medien. Retrieved 16 August 2016. ^ "Official Albums Chart Top 100". Official Charts Company. Retrieved 16 August 2016. ^ "Billboard's Heatseekers Albums Chart". Billboard. 19 July 1997. Retrieved 16 August 2016. An archive of music press reviews for Ladies and Gentlemen We Are Floating in Space at the official Darren Allison website. Soul Kitchen Magazine An extensive interview with Darren Allison about the recording of Ladies and Gentlemen We Are Floating in Space.